Today Rovio has released free Angry Birds update that adds lots of additional content, including a character with unique abilities and many new levels to try it. The new trailer devoted to the update, also appeared in the network a few hours ago. 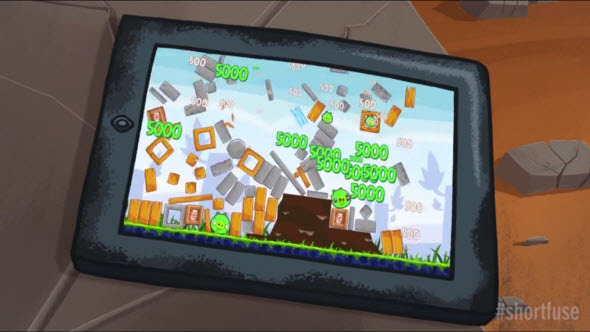 Angry Birds update will consist of 30 exciting levels, set in the new location. The main hero of this update is a black bird with sonorous name - Bomb - and very explosive character, who has got the new superpower. Using the peppery temper of the hero, you can blow up and destroy any piggies' fortifications. Are you going to try? If you are fond of the hero and its abilities, we would like to present you another one surprise from Rovio. The developers have added a new stylish T-shirt to the official Rovio's store.